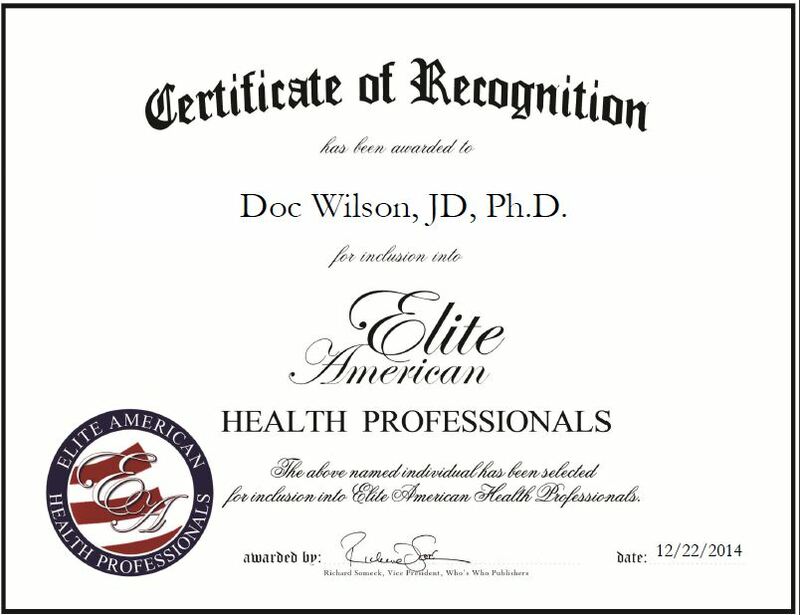 Columbia, MD, December 22, 2014, Doc Wilson, JD, Ph.D., President, Chief Executive Officer of Doc Wilson HEALTH, LLC, has been recognized by Elite American Health Professionals for dedication, achievements and leadership in nutrition and counseling. Dr. Wilson started his own practice more than 11 years ago. It provides health counseling, personal training and nutrition services, exercise counseling for weight loss and control, type 2 diabetes control, and services in reducing cancer risks. Through his current company, Dr. Wilson counsels people on health improvement strategies, including nutrition, exercise, and life style choices. When so desired, he also accompanies clients to appointments with their physicians and other health care providers to help formulate health questions and options. In addition, he is a public speaker and gives seminars on a wide range of health topics. 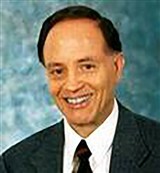 Throughout his career, Dr. Wilson served as a professor in the renal laboratory of the University of Maryland Medical School, instructor in physiology at the Baltimore School of Massage and personal trainer at the YMCA and the Columbia Association. He has also written for 10 scientific publications, published 56 scientific and law newsletter articles, and numerous environmental articles for monthly newsletters for the Trout Unlimited Maryland Chapter. This entry was posted in Counseling and tagged cancer risks, exercise counseling, nutrition, personal training, weight loss. Bookmark the permalink.